Lots of customers are not satisfied with mass production. They prefer to order custommade clothing. That's why atelier owners and individual masters will be frequent guests at your store. Our nice, colored design has all necessary elements an online store should have. All products are provided with cear descriptions, prices, calltoaction buttons. The slider and banner images are of the highest quality. A content area includes 'Featured products' and 'Top sellers' sections. Your customers will be able to navigate through website pages via the main and subsidiary menus. Get this template now, don't miss your chance to take the lead. 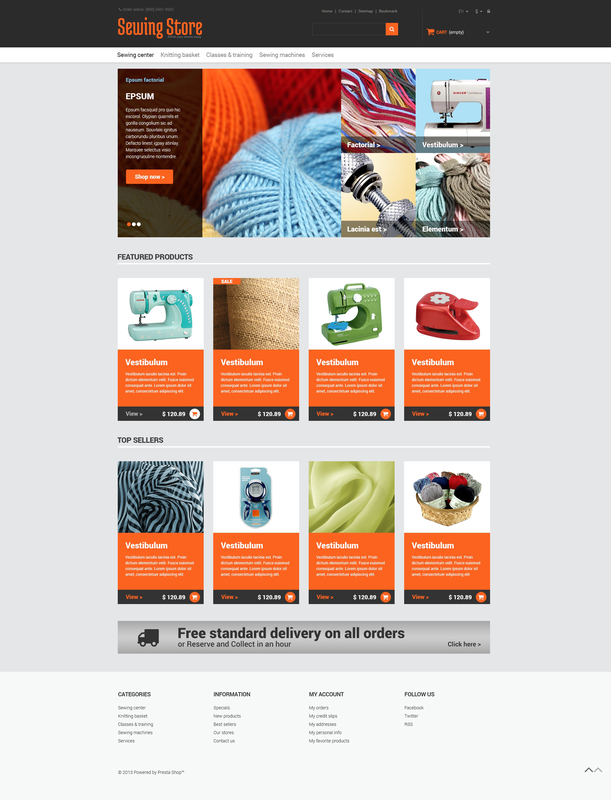 The theme was crafted for online sewing, knitting and embroidery stores.